Moon Jae-in and Kim Jong Un thread peaceful part. Kim’s North Korea vowed that it will permanently dismantle a missile test site and a launch pad after successful talks with South Korea. North Korea president Kim Jong Un appears to be slowing down and becoming more friendly to the world. 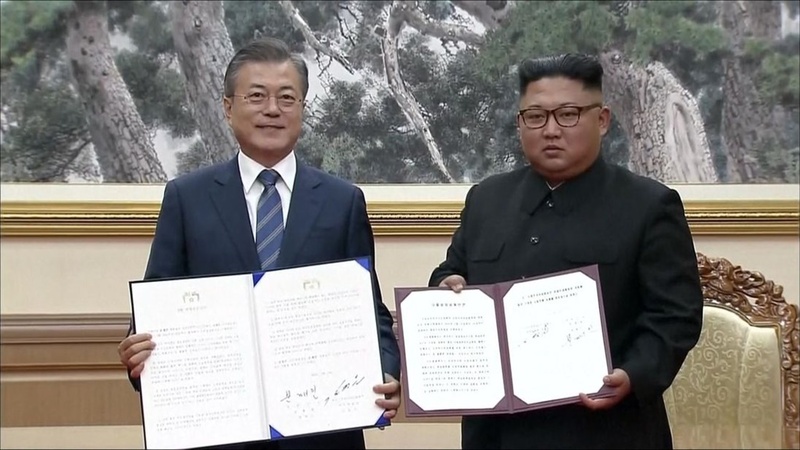 Following a summit in Pyongyang, the leaders of both countries signed a declaration after agreeing the Korean peninsula should turn into a "land of peace without nuclear weapons and nuclear threats". South Korea President Moon Jae-in told reporters: "The North agreed to permanently close the Tongchang-ri missile engine test site and missile launch facility in the presence of experts from relevant nations." "The era of no war has started," South Korean President Moon Jae-in announced at joint news conference alongside North Korean leader Kim Jong Un in Pyongyang Wednesday. "Today the North and South decided to remove all threats from the entire Korean Peninsula," Moon said.